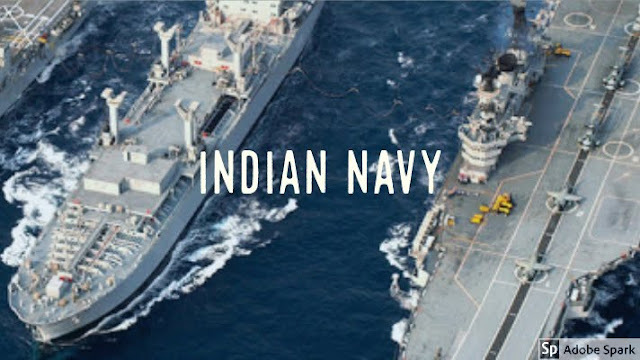 The Indian Navy is the naval branch of the Indian Armed Forces. It is responsible for safeguarding our seas against all internal and external threats. The Indian Navy has the least number of soldiers as compared to the other services of the Armed Forces but it has proved its valor by carrying various operations in both peace and war times. In this article, we will have a look on such operations. It was an operation launched by the Indian Navy on Karachi during the Indo-Pakistani War of 1971. The operation was conducted on the night of 4–5 December. It was the first time that anti-ship missiles in combat were used in the region. Heavy damage was inflicted on Pakistani vessels and facilities. Pakistan lost a minesweeper, a destroyer, a cargo vessel carrying ammunition, and fuel storage tanks in Karachi. Another destroyer was also badly damaged and eventually scrapped. India suffered no losses in this operation. India celebrates its Navy Day annually on 4 December to mark this operation. It was launched on the night of 8/9 December 1971. After the first attack during Operation Trident, Pakistan stepped up aerial surveillance of its coast as the presence of large Indian Navy ships gave the impression that another attack was being planned. Pakistani warships tried to outsmart the Indian Navy by mingling with merchant shipping. India responded by attacking these group of ships off the coast of Karachi. While India suffered no losses, Pakistani fleet tanker PNS Dacca was damaged beyond repair and the Kemari Oil Storage facility was lost. Two other foreign ships stationed in Karachi were also sunk during the attack. In 1988, a coup attempt to overthrow the Maldives government was made. Such coup attempts were also made in 1980 and 1983 but were never taken seriously. Then Prime Minister of Maldives, Maumoon Abdul Gayum asked for military help from India, USA & UK. Rajiv Gandhi, then PM of India sent 1600 troops to Maldives. November 3, 1988 marked the start of Operation Cactus. The Indian Airforce dropped paratroopers in the capital city of Male and they immediately secured the airfield and restored the control of the capital city within hours. Some mercenaries tried to escape but the Indian Navy frigates Betwa and Godavari intercepted them off the Sri Lankan coast and captured them. India received international praise and its relations with Maldives got strengthened. It was Indian Navy's operation during the Kargil War. The Indian Navy blocked the Pakistani ports (primarily the Karachi port) to cut off their supply routes. The Indian Navy's western and eastern fleets joined in the North Arabian Sea and began aggressive patrols and threatened to cut Pakistan's sea trade. This exploited Pakistan's dependence on sea-based oil and trade flows. It was an operation launched by the Indian Navy to evacuate Indian, Sri Lankan and Nepalese nationals, as well as Lebanese nationals with Indian spouses, from the conflict zone during the 2006 Lebanon War. Indian Navy Task Force 54, consisting of three warships - the destroyer INS Mumbai, the frigates INS Brahmaputra, INS Betwa and a fleet tanker INS Shakti, was returning to India from the Mediterranean following a goodwill visit and was just about to cross the Suez Canal. It was ordered to turn back to help evacuate Indian nationals from Lebanon. The plan for the evacuation was for the warships was to take the evacuees to Cyprus, from where chartered Air India flights would fly them back to India. INS Mumbai evacuated 1,495 people to Cyprus, INS Brahmaputra evacuated 188 and INS Betwa evacuated 254 people. INS Shakti was not used for evacuation. Altogether a total of 2,280 people including 1,764 Indians were evacuated. 112 Sri Lankans, 64 Nepalese and 7 Lebanese nationals with Indian spouses were also evacuated. Citizens of other friendly nations at risk were also evacuated. This was one of the largest evacuation operations conducted by the Indian Navy since World War II. After the evacuation, the task force remained on station in international waters off Lebanon, monitoring the conflict, and ensuring the safety of remaining Indian nationals in Lebanon. This was actually a NATO operation but India helped with this operation. This was an initiative by NATO to safeguard the Indian Ocean, Guardafui Channel, Gulf of Aden and Arabian Sea from pirates. The operation began o 17 August 2009 and ended on 15 December 2016. Indian Navy was the second largest contributor of ships for this operation. In 2011, 236 pirate attacks were reported off the coast of Somalia. This operation proved to be so effective that in 2014, only 2 attacks were reported and those too were unsuccessful. Ofcourse we will keep posting such defense related articles.